Digital wallet payment solutions are becoming more relevant for the Indian economy driven by mobile-centric internet penetration. 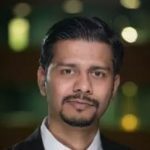 The current digital wallet ecosystem is populated by several players from different verticals, but which are, in many cases offering overlapping solutions. Most players are concentrated in urban areas and only a few are looking beyond these comfortable boundaries and providing grassroots level services. We are closely tracking this ecosystem and will be publishing in-depth analysis on relevant players and key trends. This report is part of our report series Growing Mobile Payments Market in India, and provides detailed analysis on Oxigen Services, one of the key player in digital wallet ecosystem in India. Oxigen Services Pvt. is one of the initiators and a front runner in the provision of digital wallet services in India. Its mission is to provide financial and banking services to all, regardless of wealth and location. Oxigen offers a wide range of services including remittance, money transfer, Kiosk banking, utility bill management and many more. 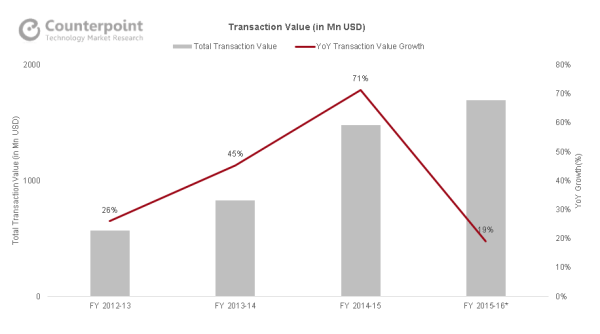 Total transaction value(Online +Offline) of Oxigen services grew 4X times in last 5 years to ~1.5 Billion USD. 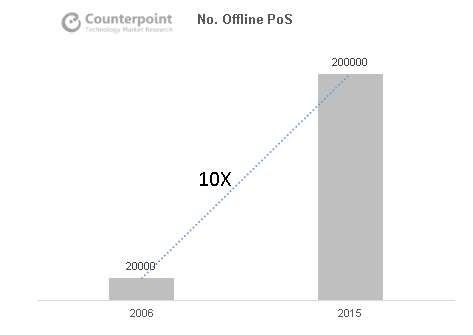 Mobile Wallet grew 10X times in last three years since its inception. Oxigen has one the best offline presence amongst all the mobile wallet providers in India, with more than 200,000 offline retail touch points, which includes 100,000 village kiosks. 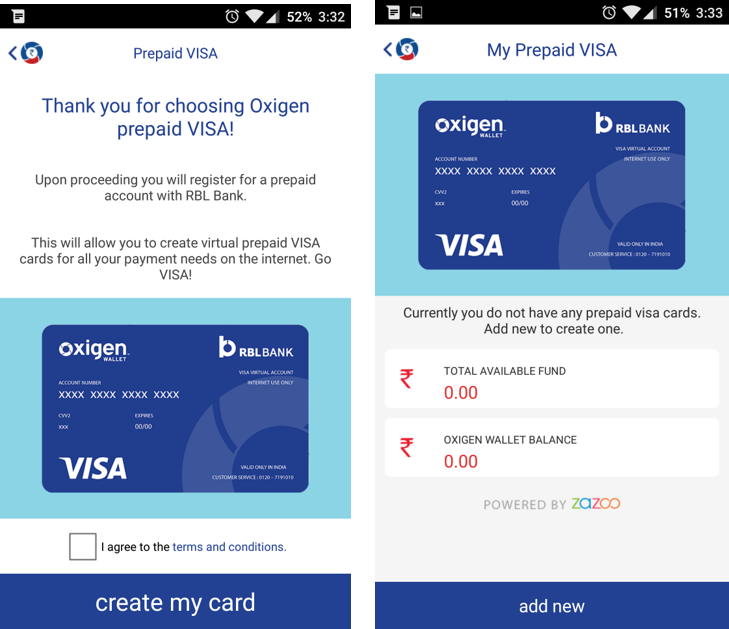 In association with RBL bank, Oxigen wallet has started a virtual Visa prepaid card service. This debit card can be used for all merchants with Visa platform, which will help Oxigen customers, with or without bank accounts, to create virtual Visa debit card from their Oxigen wallet app by limiting risk from fraudulent activities. On the other hand, this will help Oxigen services to spread their presence through Visa merchant channels beyond direct partnerships. The next phase of growth will come from the online to offline (O2O) market place, where Oxigen already has a strong presence and is aiming to open up an additional 300,000 payment access points in villages in the next three years. Many start-ups in the mobile wallet industry are trying to create their own vertically integrated ecosystems. This effort includes opening up ecommerce stores, partnering with service providers, deep integration on popular apps, partnering with hardware vendors and etc. Wallet players having relevant partners and financial backup are expected to survive for long term in this low margin business. eCommerce is one of the key area, where Oxigen can target for future growth. With payment system and existing consumer base in place, Oxigen has a good chance to adopt this segment. 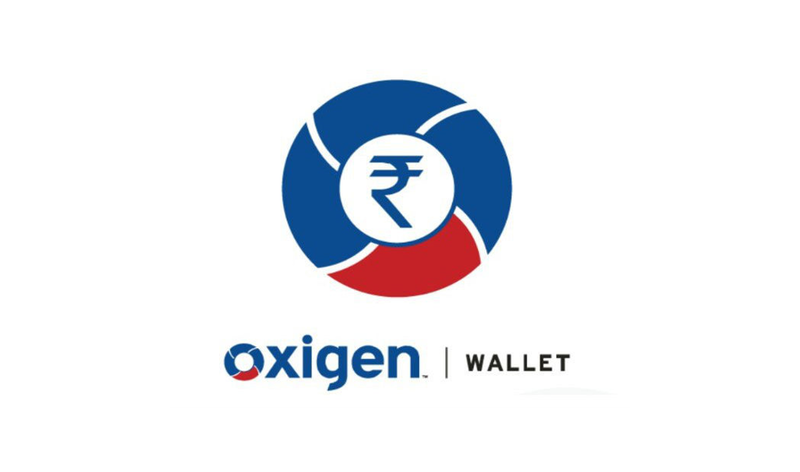 Urban wallet user base is another key investment pocket for Oxigen. 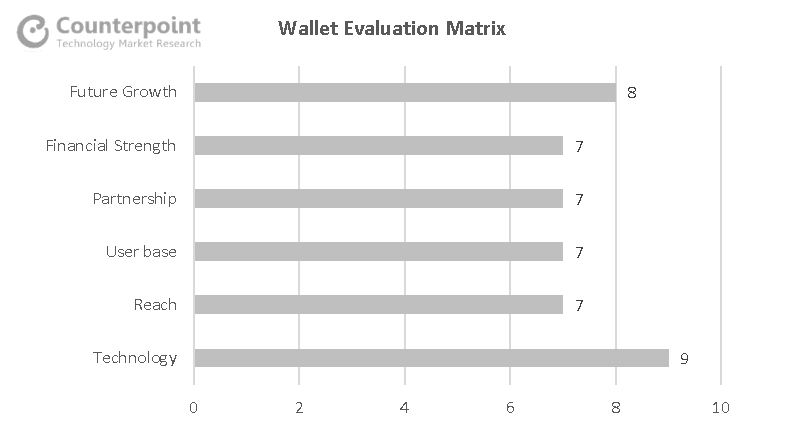 Urban users have more disposable income and are more likely to adopt a mobile wallet than rural users. We will analyse other top players in this segment to understand their current positioning, strategy and future potential using similar KPIs. Subscribe to our Newsletter for updates on next report.